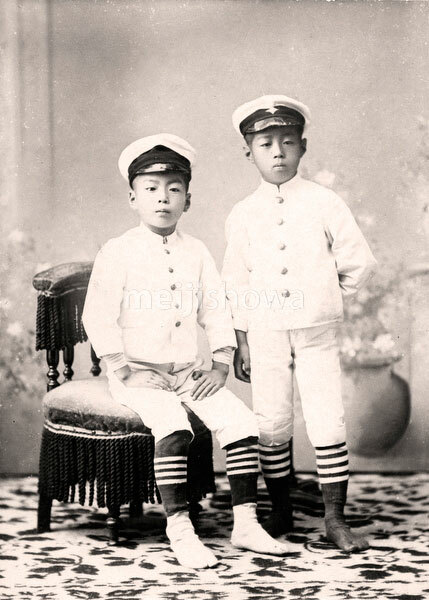 Studio photo of two young brothers in unform. The incription on the back reads: Sep. 11th, Meiji 35 (1902). Ishibashi Kotaro, 11 years old. Ishibashi Hidenosuke, 10 years old. The same brothers also appear in photo #70203-0001, when they are 20 and 21 years old.